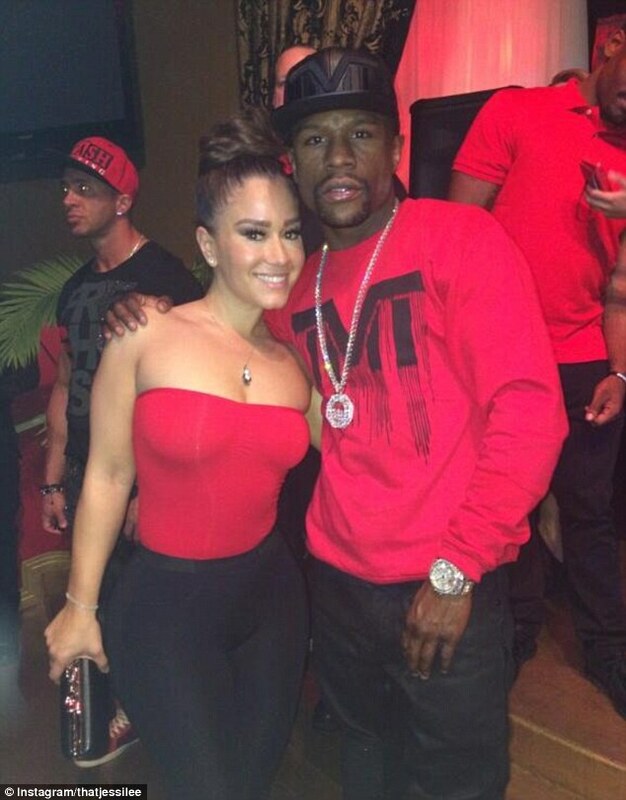 Flamboyant boxer, Floyd Mayweather has sort of provided a timely reminder of his wealth by getting two beautiful women to count out $100,000 in cash on his bed while he uses one of his expensive watches to see who can do it fastest. Mayweather outpointed a game, Mexican, Marcos Maidana in Las Vegas to unify the welterweight division and remain unbeaten in 46 professional fights on Saturday night. and the best way to celebrate is to count out his fortune. The undefeated boxer, holding a case of 18 watches, posted saying: '@thatjessilee and @badmedina are playing a game, to see who can count to a $100,000 the fastest. It's fair to say $100,000 is pretty small fry for the five-time world champion, who claimed he earned $70m from the Maidana fight. 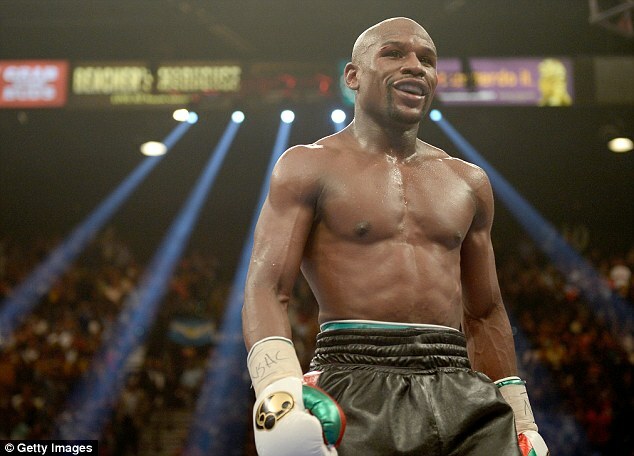 He earned $32m for the fight, staged at the MGM Grand, and also said he made $38m from pay-per-view television rights. 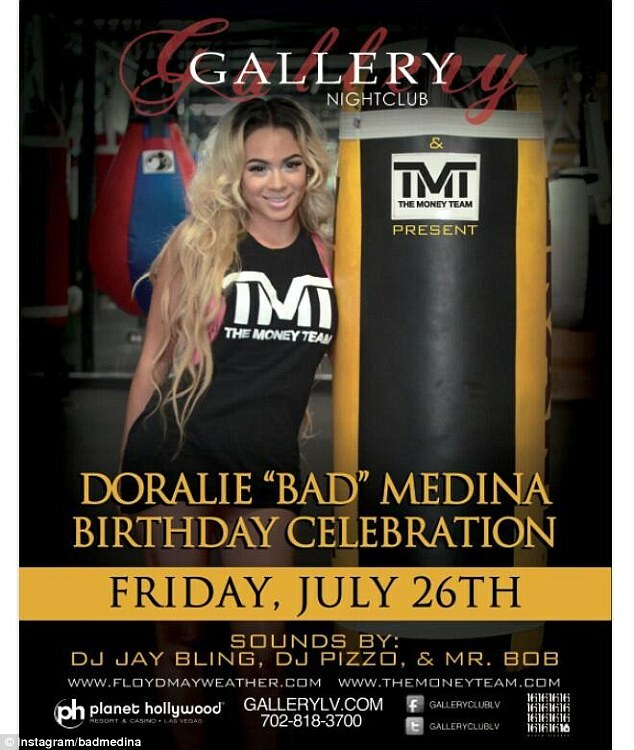 The two women pictured, Jessi Lee and Doralie Medina, are part of Mayweather's entourage, known as The Money Team (TMT). Labels: Floyd Mayweather, The Money Team (TMT).